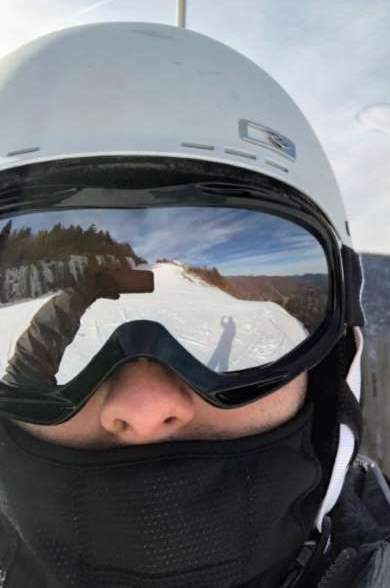 Let's be clear, I'm not saying that you should be scrolling through Facebook and Instagram every time you get on the lift. In fact, I think you would be better off looking out into the mountains and the beautiful scenery. Locating your friends or family in case you separate. Calling for help in case you get stranded on your own. Snapping a photo to remember your awesome trip. This is probably the best and most practice thing you can do - and generally this is all you'll need. By keeping your phone in a pocket close to your body, your natural warmth will help keep your phone from freezing and dying quicker. Make sure the pocket you're putting it in fully zips - you don't want your phone to go flying off on the mountains. I like to put my phone in the zipper pocket of my mid-layer. If your gear doesn't allow for this and you're forced to keep it far away from you, try some of these next tips. A Ziploc bag won't necessarily keep your phone warm, but it will keep it safe. Whether the moisture exposure is coming from the outside or from your sweat evaporating - water and phones don't mix. They also make fancy plastic cases that can go around your neck or clip onto your gear. They tend to be pretty expensive, so I prefer just go go the Ziploc route. 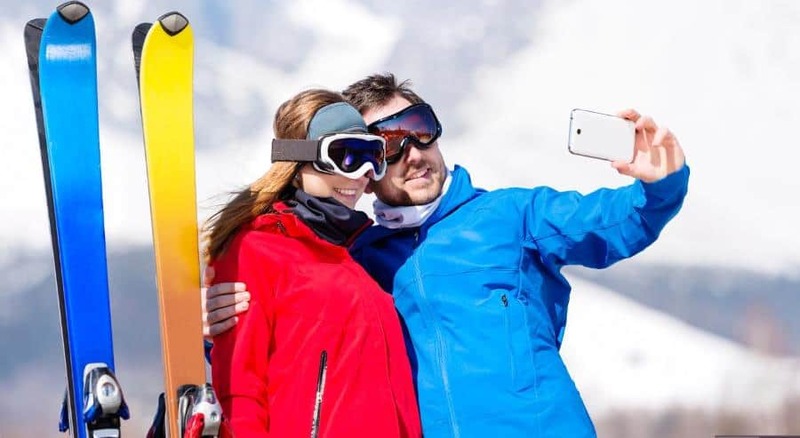 Investing in a waterproof or water-resistant case can make a big difference on the slopes. Back when I had the iPhone 5, I also had one of the best Otterbox cases on the market. When I took it skiing, I didn't really experience any issues in terms of the actual phone getting too cold or wet. I personally haven't had to try this tip, but I've heard others have some decent success with it. If your phone is close to the outside of your gear, your body warmth may not be able to get to it. If this is the case, you can see why a hand-warmer would be useful. They're usually pretty cheap and accessible at a shop in the lodge. Just be careful with this one and use it at your own risk. I would check your phone sporadically to make sure it's not overheating. Additionally, I wouldn't combine this tip with the Ziploc bag as it might melt it. If worst comes to worst, it's never a bad idea to have a back up battery handy. If you know you're going to be skiing well off the beaten path, then it could give you some piece of mind, especially if you're alone. I've experienced being lost on a trail with a dead phone. Even though I was in the moment and didn't panic at the time, it made me think it would be nice to have one for the future. Many times when you're up in the mountains, the signal for your phone can be kind of shoddy. As a result, your phone can drain a lot of battery just searching for a signal. Turning your phone onto airplane mode will prevent this and increase your phone's life on the mountains. So what do you like to do when you bring your phone up on the mountain? Have you ever been in an extreme circumstance where you wish you had your phone, or do you prefer to just enjoy everything without the luxury of modern technology?